Last Saturday the School of Classics went on its annual autumn day trip. 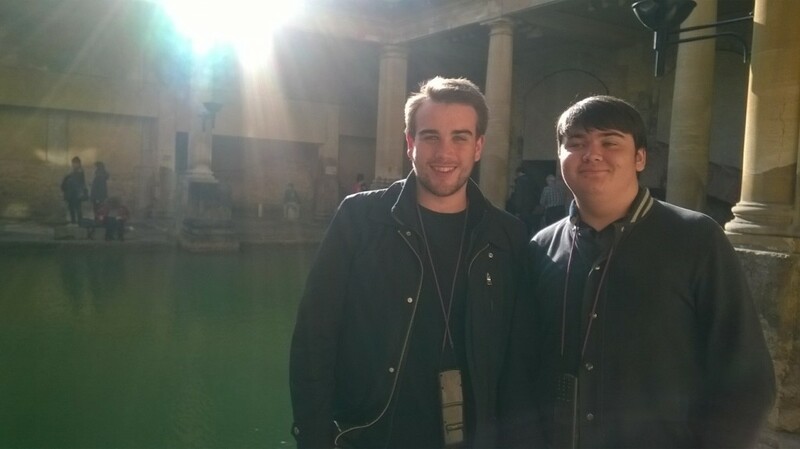 Whereas last year we stayed on our side of the border and explored Caerleon and Caerwent, this year we ventured a little further afield to the Roman Baths of Bath Spa. This gave students taking Dr Ralph Haeussler’s Britain in the Western Roman Empire module the chance to explore an archaeological site which fuses Celtic Iron Age and Roman cultures, and students taking Dr Jane Draycott’s Magic in Antiquity and Ancient Medicine: Myth and Practice modules the chance to see examples of curse tablets and votive offerings in as close to their original context as possible. Highlights included the Beau Street Hoard, the temple pediment, the head of the Sulis Minerva cult statue, and a chance to sample the healing waters (sulfur with a dash of iron – not the most appetising of combinations!). There was even time for some Christmas shopping afterwards!